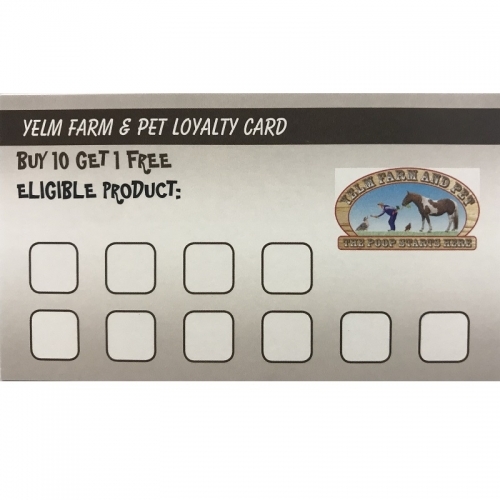 Visit us to pick up a loyalty card! When you buy 10 eligible products in a six week period, we'll give you one for free! Includes Purina Layena Crumbles and Pellets, Purina Equine Senior, and Purina Flock Raiser Pellets and Crumbles.